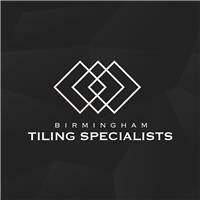 Birmingham Tiling Specialists Ltd - Bathrooms, Tiler - Tiling based in Birmingham, West Midlands. We are fully insured, professional wall and floor tiling contractors based in the heart of the West Midlands. We offer both a full domestic and commercial service having had sufficient experience in both privately Owned homes and large contracts from David Lloyd leisure to Nissan car show rooms. At Birmingham Tiling specialists we employ a small team of highly skilled professional tilers who have been trained to cater for all your tiling requirements so you can be rest assured on a high quality finish with Customer satisfaction being our ultimate priority. We also offer a self levelling service and also full bathroom refurbishments. Don't forget to check out our active FACEBOOK page for more projects we have completed.